...now we present the American version, with a decidedly-different "look" for the characters (though the Fireball itself and the other vehicles and devices look as they do on the show! 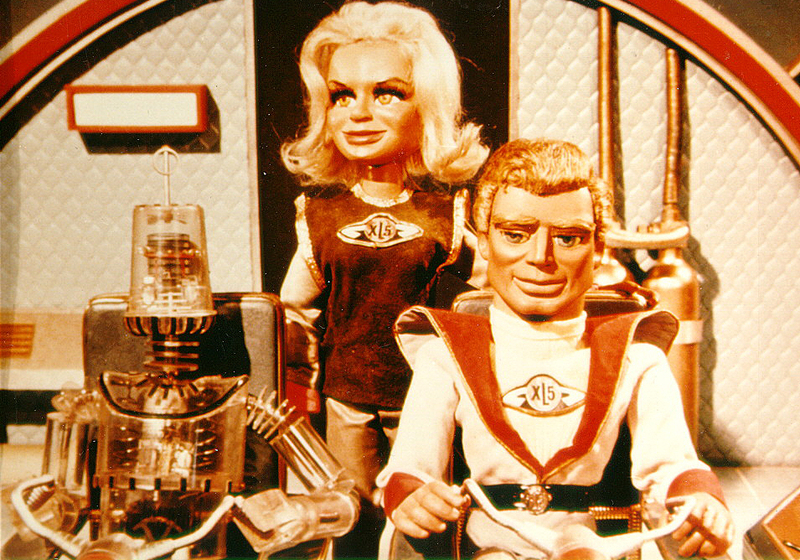 As you can see, artist Ray Bailey "corrected" the characters' anatomy to more realistic human proportions as opposed to the on-screen puppets' over-sized heads with exaggerated features. The heads had to be bigger than "normal" to accomodate the primitive electronics that controlled synchronizing the mouths to previously-recorded dialogue tracks. As technology progressed, the heads became smaller until, by the time of Captain Scarlet and the Mysterons, the puppets had "normal" human proportions. 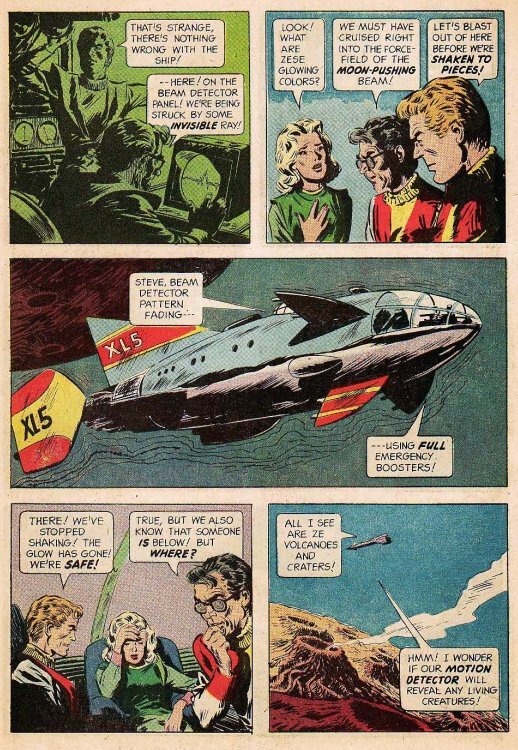 This was the lead story in Gold Key's Steve Zodiac and FireBall XL5 (1964) one-shot. 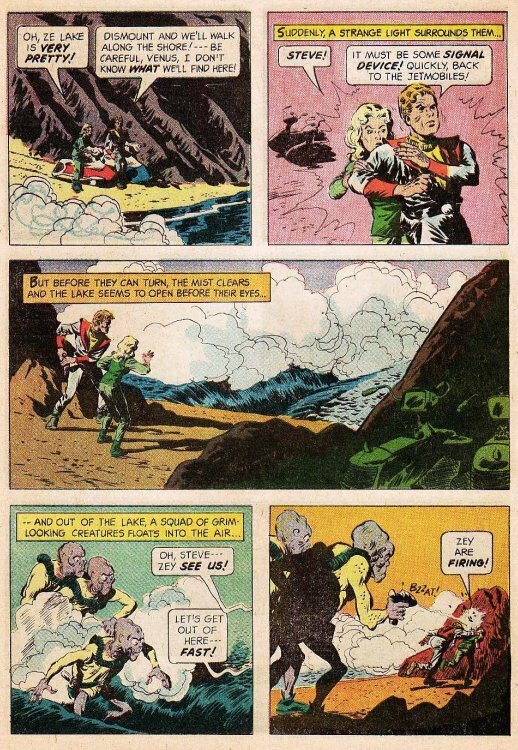 Previously, Gold Key had done four issues of Mike Mercury and Supercar with more cartoony art that accurately captured the "look" of the puppet characters. We'll be presenting one of them later in the month. Are you sure this is Ray Bailey? The artwork is maddeningly familiar but is missing many of the stylistic quirks present in Bailey's work. In particular it doesn't have Ray Bailey Rocks, the artist's trademark. Well, the Grand Comic Database lists Bailey as the artist on both stories in the issue. However, I'm not familar enough with Bailey's work to say "yea" or "nay" to their listing. Could it just be Bailey pencils with someone else's inks? 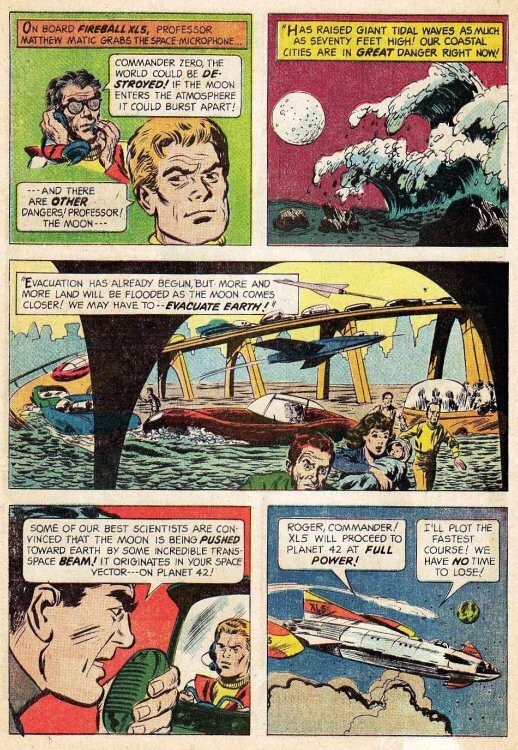 Look at Jack Kirby's work as inked by artists as diverse as Joe Sinnott and Vince Colletta. 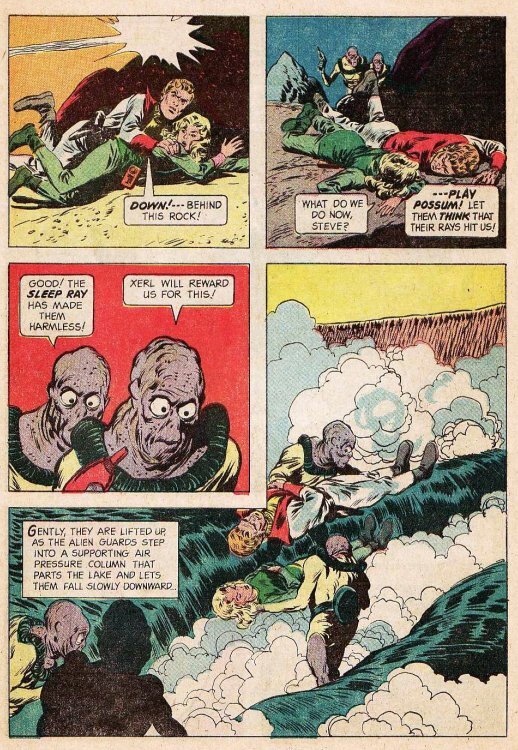 Things (like rocks) look very different depending on the inker (and if there's one thing Kirby did better than anyone, it was rocks). 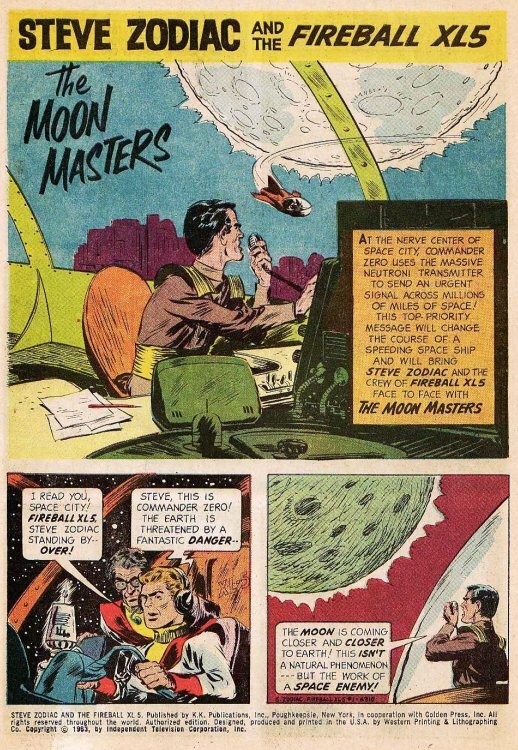 After a bit of research and comparison, I think that Frank Springer did the inking and possibly the pencils as well. 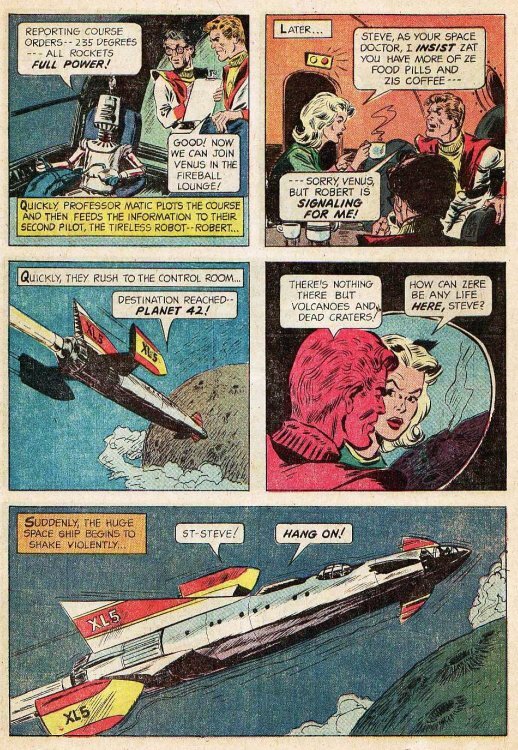 The Grand Comics Database has it wrong, but the Who's Who of American Comic Books has it right: the artist is Mel Crawford. Compare this with the early Professor Harbinger back-ups in DOCTOR SOLAR. I'll go with the guy who writes the superb "Who Wrote the Comics?" blog at http://martinohearn.blogspot.com anytime! 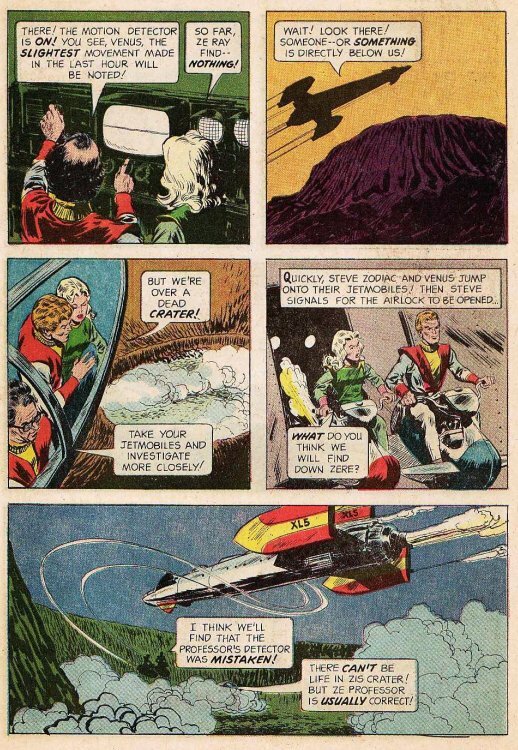 Captain's Library: FIREBALL XL5 "Unknown Planet"